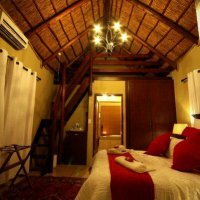 The lodges are situated 60km outside a small town called Lephalale/Ellisras in the Limpopo Province near the Botswana border. 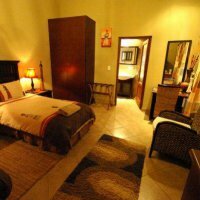 There are three different camps, Leeufontein Bush Lodge, Babala and Twin River Lodge. 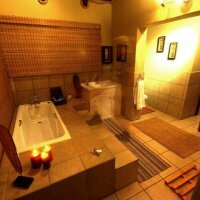 Most important... you can still feel comfortable in the real African bush while relaxing in style. 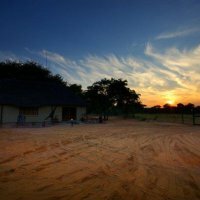 "While enjoying a real African sunset with wild animals nearby, you can sit back and relax together with some friends and family"
This is our main camp and is situated in our main hunting area of 15000 ha. This camp gives you all the luxury yet allows you to experience the peace and quiet of the African bush. 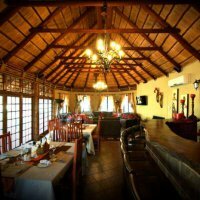 The Lounge, bar and kitchen complex is situated under a giant camel thorn tree. 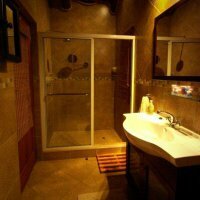 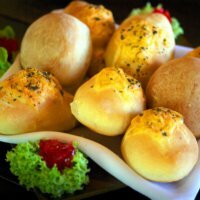 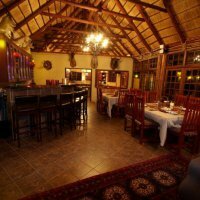 Here you can enjoy warm African meals and a drink with friends. The chalets, pool and boma is situated around a cluster of Manketti trees, growing in the middle of the camp. 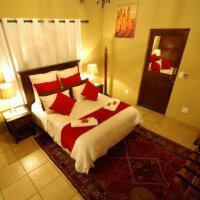 The rooms are all on-suite and family rooms are available. The boma is equipped with braai facilities and with a fire pit in the middle, ideal to have a night cap before you head to bed. 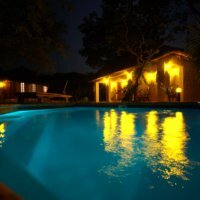 Wi-Fi is available for those who can not wait to share their stories with loved ones at home or who absolutely need to do some work for one or two days. 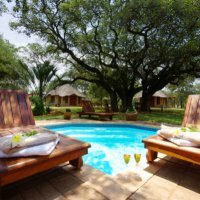 Located right across the Botswana Tuli Block on the Limpopo River, this intimate lodge offers stylish living in five en-suite chalets all with air-conditioning. 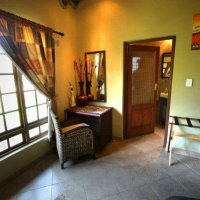 The panoramic views over the forest and a secluded water hole is superb. 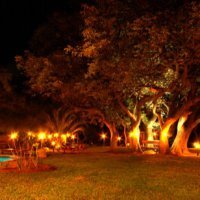 One of the camp’s special features is the raised lounge and bar complex situated under large Leadwood, Ana and Acacia trees, overlooking the Limpopo River flood plain. 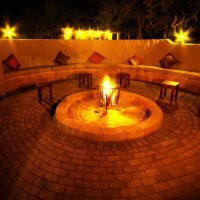 Activities revolve around the area’s magnificent scenery, photographic safaris, game- and bird watching, and its spectacular beauty. 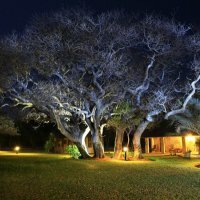 Open safari vehicles take guests on early-morning and evening drives; and boating excursions onto the breathtaking Mogolo/Limpopo Rivers set out from Twin River Lodge. 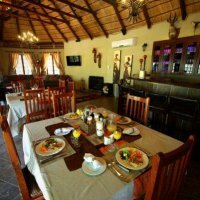 Popular for its ideal conference facilities, this lodge offers comfort and a pleasant setting at the confluence of the perennial Mogolo and Limpopo Rivers. 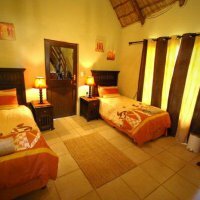 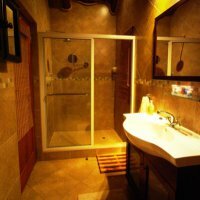 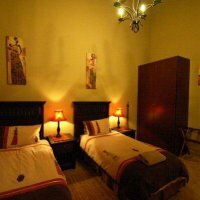 Guests are accommodated in thatched, air-conditioned, chalets (each with en-suite bathrooms) and a four bed-roomed guest house with private lounge. 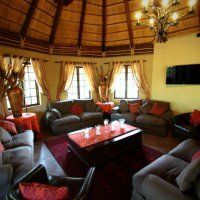 Central amenities include an elevated thatched deck with lounge and bar, dining area and pool. 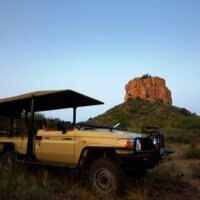 Professional registered game rangers conduct you on game drives, walks and river cruises. 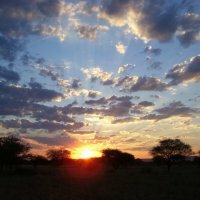 Bird life is outstanding. 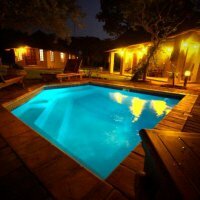 A large dam 300 meters from camp boasts with an array of 13 fish species and resident hippo.